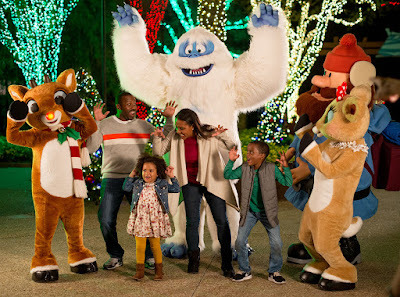 The five-year contract extension was announced today by SeaWorld Parks & Entertainment and Character Arts, LLC, the exclusive licensor of Rudolph the Red-Nosed Reindeer and all of the characters from the 1964-television special. The extension ensures that Rudolph & Friends will continue to add holiday fun to the theme parks’ already popular Christmas events through January 31, 2024. Walk-around characters, photo areas, dining opportunities and games are just some of the ways the world’s most famous reindeer will be featured at the theme parks.